>>>This Blu-Ray Disc is encoded for Region 3 (Southeast Asia, East Asia, including Korea and Hong Kong). This DVD will NOT be viewable on regular DVD players made for other regions unless they are code-(region-)free DVD players. From Kim Ji Woon, the director of The Good, The Bad, The Weird and A Tale of Two Sisters, comes the stylish, ultraviolent gangster flick, A Bittersweet Life! 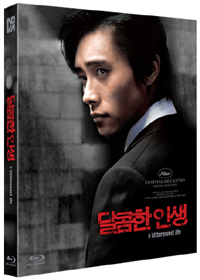 Lee Byung Hun (Joint Security Area) stars as Sun Woo, a unique character with a curious lifestyle ? he's not only a valued gang member and the proprietor of a hotel bar, but also the right-hand man to the powerful gang leader, Mr. Kang (Kim Young Chul). When Kang suspects that his beautiful young mistress Hee Soo (Shin Min Ah, Volcano High) might be messing around with another man, he enlists Sun Woo's help to resolve the matter, commanding him to follow her around to see what information he can dig up. Sun Woo's orders are explicit: if he catches Hee Soo cheating, he is to execute her ? no ifs ands or buts about it. However, when Sun Woo spies Hee Soo with her boyfriend, he makes a stunning decision, one that will have major consequences for all involved!